A document concluded between two entities- the Licensor and the Licensee. This is used when the Licensee desires to use a software developed by the Licensor. 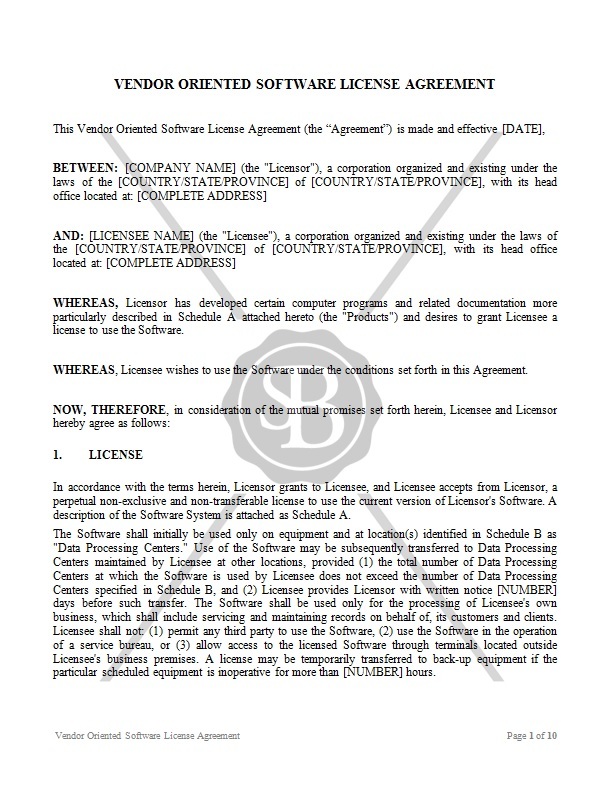 In this agreement the Licensor grants to the Licensee a license to use the certain Software with terms and conditions.